For the first time in a number of years Newcastle United fans weren’t left watching the transfer deadline day circus hoping that a helicopter was being sent for a centre half or a last-minute dash would yield a replacement striker. United managed to tie up their business relatively early in the window, bringing in a quintet of players from their Ligue 1 hypermarket. Mathieu Debuchy arrived early in the window (although perhaps five months too late), and was followed in to St James’ Park by Mapou Yanga-Mbiwa, Yoan Gouffran, Moussa Sissoko and Massadio Haidara. The Toon were still active on deadline day, bringing in Swiss teenage centre back Kevin Mbabu from Servette. Mbabu is definitely one for the future rather than one for the present, but shows that the club are once again looking to identify the best young talent from around the globe. Curtis Good is another youngster who United have picked up through their scouting network, and the Newcastle management will hope that Mbabu adapts as well as the young Aussie who if all goes to plan will be turning out at Wembley in a cup final before he returns to Tyneside. This approach of identifying promising youngsters is nothing new, both to Newcastle and beyond, with Arsene Wenger perhaps being the architect of this strategy. When Mike Ashley first arrived on Tyneside it was often said that he planned to adopt the ‘Arsenal approach’ of signing promising youngsters from around the globe, with the ones that made the grade progressing to the first team and those that didn’t being sold on for a marginal profit. This served Wenger well in his early days, picking up top players such as Fabregas and Anelka for minimal amounts. In addition to this, the likes of Seb Larsson, Jeremie Aliadiere and Moritz Voltz all generated reasonable revenue for the Gunners without making the grade in North London. Ashley did attempt to emulate Arsenal when he first arrived at Newcastle, not so ably aided by the likes of Jeff Vetere, Tony Jiminez and Dennis Wise. This approach seen the arrival of youngsters both from within the United Kingdom and also further afield. Ben Tozer was signed from Swindon Town, Aaron Spear, described as the next Wayne Rooney, was plucked from the youth ranks at Plymouth and they were joined by the likes of Wesley Ngo Baheng, Samuel Adjei, Ole Soderberg and Tamas Kadar, brining a continental feel to the youth ranks at Little Benton. Out of Ashley, Wise, Vetere, Jiminez and this bunch of youngsters, only the owner remains at the club. Vetere works as Technical Director at Championship outfit Charlton Athletic, who have links to Jiminez through Dubai based Zabeel Investments. But what became of the players they brought to the club? The first arrival under the Ashley regime was Ben Tozer, signed from Swindon Town for a reputed £1m, although this figure was rumoured to be weighted towards appearances made for the club. If that was the case then United won’t have shelled out too much for the young Devonian, as it only made two appearances for The Toon, starting as Chris Hughton fielded a team of youngsters at Peterborough in the League Cup and coming on for a three-minute stint as a substitute in the Championship against Doncaster. United were promoted to the Premier League after one season in the Championship, and his chances of first team football were further diminished as Hughton brought in Mike Williamson to strengthen his backline. Tozer was loaned out to NorthamptonTown, lining up in a famous League Cup win over Liverpool, and signed The Cobblers on a permanent deal after being released by Newcastle. Next through the door was Wesley Ngo Baheng, further agitating Le Havre who still held a grudge after Newcastle signed a 17-year-old Charles N’Zogbia for a minimal fee in 2004 after a court battle that threatened to go to the Court of Arbitration for Sport before Newcastle settled out of court. Baheng was unlucky to suffer from a number of injuries whilst on Tyneside, most notably damaging his anterior cruciate ligament less than six weeks after signing for the club. Whilst he featured occasionally for the reserves on his return, he never made an appearance for the first team and was released at the end of the 2009/10 season. 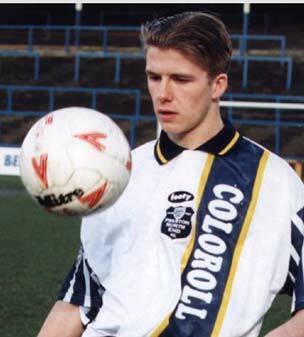 He remained in the UK, signing short term deals firstly with Aldershot Town and then Hereford United, but only made a handful of appearances and returned to France, firstly with Le Blanc-Mesnil before moving on to FC Dieppe in the fourth tier where he has been a regular starter this season. At least he has been successful in his alternative career, releasing several rap tracks under the alias F-ikass! As the cliché goes, Newcastle fans love their strikers, and although Italian club Atalanta kicked up a stink when young forward Fabio Zamblera signed for the Magpies, it would appear their indignation was more to do with the principle of the matter than the loss of the player. Zamblera was tall but poor in the air, well-built yet weak on the ball, and his pace was deceptive; he was slower than he looked. His most impressive feature was his facial hair, and even that wasn’t great. Another who didn’t get anywhere near the first team, Fabio was loaned back to Sampdoria where he played for their youth side, but at the end of the loan deal the Italians politely declined to make the deal permanent. 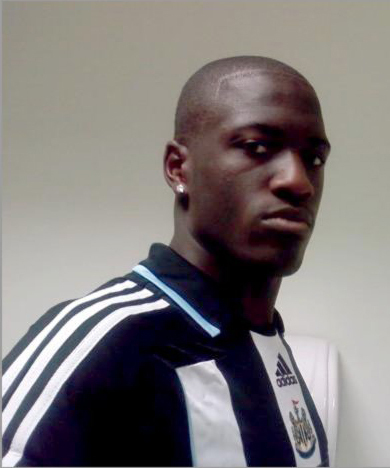 Zamblera returned to Newcastle and popped up every now and then for the reserve and youth sides, featuring in the Coppa Carnavale in February 2011, before being released and returning to Italy. Zamblera hasn’t had a club since leaving Newcastle, and judging by his twitter feed, seems to spend his days watching football, going swimming and flirting with young ladies. Tamas Kadar was a player lined up under the stewardship of Sam Allardyce but by the time he put pen to paper Big Sam has been replaced by Kevin Keegan, with the young Hungarian being announced as a Newcastle player the same day KK met the press for the first time during his second spell as manager. Kadar was signed from Zalaegerszegi in his homeland and was an under 21 international when he came to the UK. Within a few months he was called up to the senior national squad. Kadar was without doubt the most successful of the acquisitions made in January 2008, featuring 18 times for United, mainly in the Championship season, but also twice in the League Cup the following season. Kadar was utilised at left-back rather than his preferred role of centre-back, and was competent at best, with suspect positioning and being susceptible to pace. Kadar was loaned out to Huddersfield Town but only made two appearances before injury brought a premature end to his time in Yorkshire. Kadar didn’t feature at all as United charged to fifth place in the Premier League, and no eyebrows were raised when he signed for Roda JC in Holland on a free transfer. Kadar continued his up and down form, with some confident, adept performances being coupled with two shockers that saw him dropped from the first team before returning to Hungary to join DVTK on loan in the recent January transfer window. The final player signed in Ashley’s January 2008 came from Sweden, with goalkeeper Ole Söderberg joining from Swedish outfit BK Häcken. 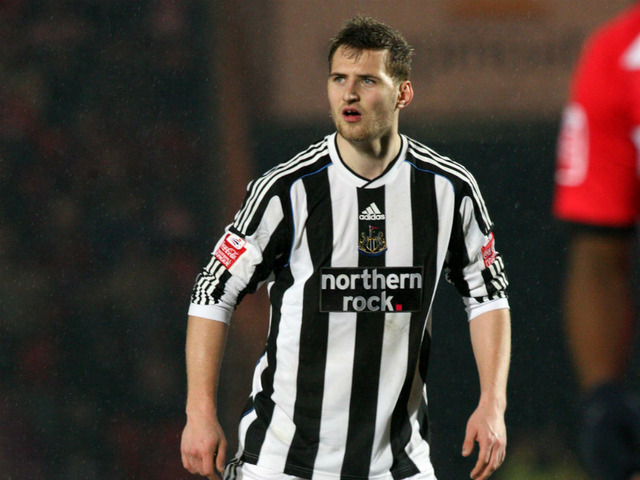 Söderberg was called up to first team bench following an injury to Steve Harper, and was named as a substitute on 19 occasions in the Magpies promotion campaign, but once Harper returned to fitness, Söderberg returned to reserve team football. Ole was loaned out to Darlington, but didn’t settle, making six appearances but struggling with the rigors of Conference football, returning to Newcastle before again being loaned out to Chesterfield, again not setting the world on fire. In March 2012, Söderberg became the last of the January 2008 signings to leave the club, announcing on twitter that he has signed a contract with Norwegian Champions Molde, where he has gone on to make a handful of appearances, mainly in cup games. Samuel Adjei and Haris Vučkić joined the club later on. Adjei, signed from his native Sweden, again didn’t threaten the first team and left the club, whilst Vučkić remains but has seen his progress hampered by regular injuries. Within four seasons the five players signed in January 2008 had all left the club, with only two of them featuring for the first team and none of them recouping a penny in revenue when leaving the club. Since then the owner has invested heavily in a thorough scouting system, headed up by Graham Carr, and he will hope to see the new system benefit the future of the club the same way it has developed the senior squad. As previously mentioned once or twice, I am in the process of writing a book based upon my 45 game tour of the Northern League 2011/12 season. Due to poor organisation and an addition to the family, it is taking a tad longer than planned. Saying that, it is well under way, and I will be publishing the odd chapter here to promote interest and garner feedback. Going back to August 2011, it all began on a warm sunny evening in Chester-le-Street…. All journeys have a beginning, and my Northern League adventure began at Moor Park, the closest ground to my humble abode at a mere 2.7 miles as the crow flies. After convincing Mrs Williams that visiting 44 Northern League grounds over the forthcoming football season was viable, I headed north on the A167, excited about the prospect of my first game of the football season. In previous years my first game of the season had almost always been a tad further up the A167 at St James Park, but bad planning from a friend meant that I was stranded at a wedding in North Yorkshire as the Magpies got their campaign underway with a 0-0 draw at home to Arsenal four days earlier. Chester-le-Street Town have been members of the Northern League since achieving promotion from the Wearside League in 1983, three years after moving to their current home at Moor Park. Founded in 1972, the club was previously known at Chester-le-Street Garden Farm, so named after the public house which spawned the club. The club led a nomadic existence in its early years, initially playing in the Tyneside League on a pitch in the Low Fell district of Gateshead as they were unable to locate a plot in the Chester-le-Street area. After only one season Garden Farm were able to move closer to home, securing a pitch at Chester-le-Street Riverside. The club’s steady progress continued and they again moved, this time to Sacriston Colliery Welfare in 1975, where they played for five years before moving to Moor Park. The club prides itself on being a family club, and has a successful youth system that produces the majority of players for the first team. Alumni of the Chester-le-Street Town youth team include Danny Graham and Chris Basham who have both played in the Premier League and have both been transferred for more than one million pounds. More recently Adam Reach left Moor Park for Championship side Middesbrough, scoring on his league debut for the Teessiders. Moor Park sits back from the old A1 located between the northern suburbs of Durham City and the southern edge of Chester-le-Street, surrounded by a pub, a boxing gym and a terrace of retired miners’ homes. Having previously had my fingers burnt with late cancellations or rescheduling of Northern League fixtures I dug out the number for Chester-le-Street Town FC and rang for confirmation that the game was still on. I was greeted by a cheery chap who did seem a tad confused at someone ringing to see if the game was still on bearing in mind it was a beautiful sunny late summer evening. Despite living so close to Moor Park and driving past it hundreds of times, this was my first visit to the ground. I pulled in to the car park past the Chester Moor pub and some allotments and the quality of the road soon deteriorated as I turned the corner in to the football club car park. After abandoning the car parallel to a grassy bank I headed off to the Portakabin that houses the club house and bar. The view from the outside was fairly grim, a bleak brown pebble dashed exterior with bars on the three windows and a rusting handrail on the rickety steps. Thankfully the interior was far more welcoming, with an array of framed football shirts on the walls, a television showing the build up for Arsenal’s Champions League qualifier against Udinese and a rather tasty pint of cold lager with my name on it. After indulging in a spot on people-watching whilst quaffing my drink, it became apparent that there was a fairly wide demographic in attendance, from the stereotypical ‘Northern League pensioner’ (someone else’s term, not mine) to teenagers who rocked up on BMX’s and a few in-between. At 7.25pm I joined the procession of people leaving the club house and walking across the car park to the entrance at the south-west corner of the ground where I paid the £5 admission fee to the same person who had served me my pint of lager 15 minutes earlier. It felt a world away both financially and emotively from using a micro chipped swipe card to gain access through turnstile 23 at St James Park. As opposed to being met with a bank of flatscreen televisions, an overcrowded bookies and plastic containers filled with flat looking beer, I was met with the handwritten team lists scrawled on a blackboard and a pitch bathed in sunshine with a singular small stand (that I subsequently learned sits 200 people) on the far side of the pitch. I set off walking toward the stand as it appeared to be where all the action was at. I resisted the temptation of the burger van that was giving off the smell of boiled onions and pitched up next to the dugout. The players lined up parallel to the touchline and all shook hands before lining up in two distinctive 4-4-2 formations. After a few seconds of play it was apparent that Chester-le-Street had the advantage of both the wind and the slope on the pitch. With just three minutes on the clock Callum Patton found himself in space 18 yards out and hit a powerful low shot that whizzed just outside the post with Brandon keeper stranded. The home side continued their early pressure and forced a succession of corners, although they were unable to create a clean cut chance from them. I began a conversation with a chap next to me in a Chester-le-Street Town scarf and hat and he told me that he was expecting plenty of goals as their first game of the season produced 10 goals shared five a piece between Brandon and Northallerton Town. I told him that he had probably just jinxed the game to finish 0-0, a fact that looked more likely as Chester-le-Street keeper Kyle Barlow made a string of fine saves throughout the first half as Brandon grew in to the game. The first half continued to be an even contest with both sides having chances. Brandon were quick on the break often getting in behind Chester-le-Street’s high defensive line, where as Chester-le-Street were often more direct, using the wind and the slope to pen back the away team. As half time approached a trickle of spectators began to walk back around the pitch toward the clubhouse, so being the sheep I am I filed in to this line and headed back toward the bar. There was a split in the clubhouse between those dining at the sandwich buffet in the back room and those watching the end of the first half of Arsenal v Udinese on the television in the corner. I wasn’t sure of the etiquette/entitlement around the sandwich buffet so I took the safe option and watched the Gunners toil against the Italians for ten minutes before heading back out to take up my position near the dugout, again avoiding the delights of the burger van. For the second half I found myself standing between Northern League Chairman Mike Amos, who I had met at Northern League Day the previous April, and a member of the Chester-le-Street coaching team. Amos was deep in conversation with a collection of fans discussing the aforementioned weekend goal fest and the coach was talking to the spectator I spoke to in the first half who promised a high scoring game. The more I heard it mentioned the more I was certain this game was destined to be 0-0. This thought was not echoed by the elderly gentleman who had appeared next to me. Out of nowhere told me “We will get hammered now they’ve got the wind and the hill”. “You never know, it was a fairly even first half” I replied. “No chance, I’ve been watching this lot for years, they can’t kick a ball uphill”. Even gravity was against Chester-le-Street Town according to this pessimistic old boy. His pessimism wasn’t without foundation though, as Brandon had much the better of the early exchanges in the second half, forcing more saves from Barlow. With 70 minutes on the clock and the game looking more and more likely to end goalless Patton chased down the opposition keeper and intercepted the keepers pass intended for his left back. With the keeper out of position and the goal gaping Patton struck the ball first time low in the to open goal to give the home side the lead, defeating both the pessimism of my new-found friend and the scientific theories of Isaac Newton. The home crowd seemed as stunned as the Brandon defence at the turn of events, but did let out a few shouts and cheers as the ball nestled in the back of the net. The Brandon management were furious as they were made to pay for their profligacy in front of goal. The goal for the home side took the wind out of Brandon’s sails and they were unable to muster any real chances to equalise, and in the 88th minute James Baxter nearly extended the home side’s lead, shooting wide from the corner of the six-yard box. 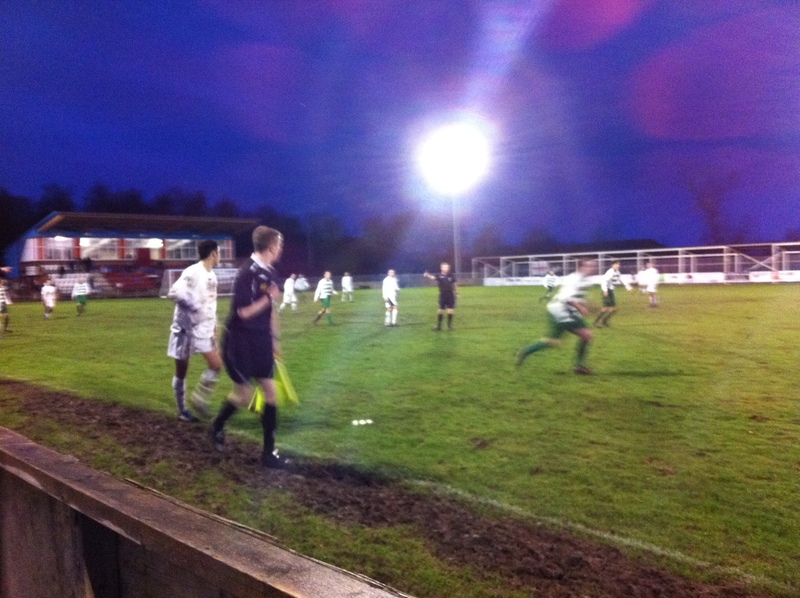 Two late corners yielded little for Brandon and after three minutes added time the referee brought the game to an end. “I told you we’d get something from the game” said the old boy next to me. I was too stunned at his change of tact to respond, and he wandered off telling anyone who would listen that as far as he was concerned the result was never in doubt. I followed the 104 spectators around the perimeter of the pitch toward the exit and was met with chaos in the car park with vehicles driving in all different directions trying to manoeuvre themselves toward the exit. I hopped in the car and switched the radio on, catching the end of the Arsenal game and listening to the classified football results. Surprisingly they didn’t mention Chester-le-Street Town 1 Brandon United 0, but nonetheless it was an enjoyable start to a mammoth journey. One game down, forty-four to go. For anyone interesting in registering for updated on the book, click this link and fill in the short form. I promise your info won’t be passed on or sold on, nor will I fill your inbox with junk updates. Today sees the eagerly awaiting return of Newcastle United to European competition after a five-year absence. For fans used to watching their club in continental competition it has been a long time, but is the Europa League a welcome return or an unwanted distraction for Newcastle? 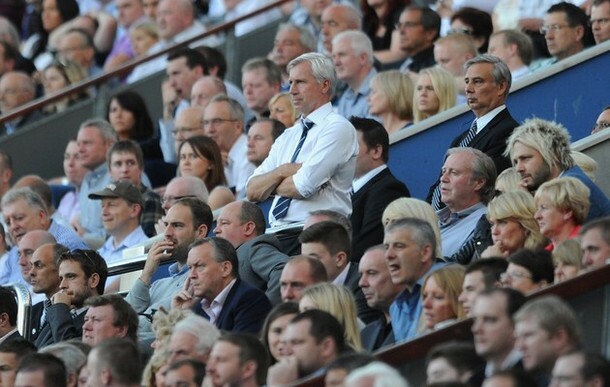 The fans will almost certainly see it as a welcome return, with European qualification a reward for a fine season under Alan Pardew’s stewardship. At the start of the last campaign qualifying for Europe seemed a long shot to say the least. Despite steady investment of ‘the Andy Carroll money’, United were tipped for mid-table at best. However, a fantastic start and end to the campaign saw Newcastle briefly threaten to break in to the top four and push for Champions League qualification, although Chelsea’s win against Bayern Munich would have dashed those hopes in a much crueller fashion than a final day defeat to Everton. Last season Stoke City, Tottenham Hotspur and Birmingham City represented England in the Europa League, although it wouldn’t be unfair to say these clubs didn’t prioritise Europe’s secondary club competition, resting first team players and utilising the games as a chance to blood youngsters and use squad players. Stoke progressed to the first knockout round where they were beaten 1-0 in each of the legs by Spanish giants Valencia. Spurs didn’t even make it that far, finishing third in their group behind the slightly less glamorous PAOK of Greece and Russian outfit Rubin Kazan. Championship side Birmingham had arguably the hardest group featuring Club Brugge, Braga and Maribor but were only a point behind the joint group winners. Perhaps the main inconvenience is the scheduling of the Europa League games on a Thursday and the subsequent rescheduling of Premier League fixtures to a Sunday (unless it doesn’t suit Chelsea). The ‘two games in 72 hours’ argument was used many times by Pulis and Redknapp as a reasoning for the rotation, arguing that they owe it to the fans to make the Premier League their top priority. With each Premier League place being worth a reported £700k it is an argument that has some relevance, but not as clear-cut as first suggested. If Newcastle are able to overcome Atromitos over two legs, they would be awarded €1.3m plus €200,000 for every group stage win and €100,00 per draw. Stoke qualified for the knockout phase in 2011/12 with three wins and two draws, so banked €2.1m plus €200,000 for finishing second in the group and another €200,000 just for featuring in the last 32. All in all The Potters banked €2.5m in prize money alone for the their European sojourn, not to mention the increased gate receipts, commercial revenue and merchandising (something Mike Ashley and Derek Llambias will be keen on). In 2010/11 Stoke finished 13th in Premier League and qualified for the Europa League as beaten FA Cup finalists. In 2011/12 they finished one place lower in 14th place, so £700k worse off in Premier League prize money but roughly a minimum of £3m better off as a result of their Europa League participation. With the exception of Hatem Ben Arfa, nobody expects Newcastle to be challenging for the Premier League title, so what lies ahead is a decision for the club to make on whether they feel they have enough to break in to the top four and the mind-boggling riches of the Champions League. If it is a case of aiming for the top four then the Europa League will be a distraction for Pardew and he had already spoken about utilising his full squad in the competition, demonstrated by Coloccini, Ba and Tiote not travelling to Athens. United are due to take on Chelsea at Stamford Bridge less than 48 hours after the Atromitos game, and with this in mind Pardew will want to do enough to make the second leg comfortable, which is why Cabaye and Cisse have travelled and will likely only be called upon if necessary. Pardew has told the press pack in Athens that Steve Harper and Sylvain Marveaux will start and Mike Williamson will be captaining the side, which gives an indication of how the Toon will line up. A sensible approach to the Europa League for Newcastle should they qualify for the group stage would be to use the competition to give the squad players game time whilst maintaining a core of the first team to ensure they are strong enough to be competitive. For the likes of Ryan Taylor, Mike Williamson and James Perch, this will be a first taste of European competition, and for a new generation of fans it will be the first chance to watch the Toon on the continent. For Haris Vučkić, Sammy Ameobi and Gael Bigirimana it will be valuable first team experience that they may not get otherwise now the reserve and junior games are scheduled on the same day as Premier League fixtures. If Newcastle are able to qualify from the group stage, the prize money begins to creep up, and they could then assess how they are progressing in other competitions as to how they approach the knock out stage. Should they be pushing for the top four then they could continue the taken approach of a mix of first teamers, squad players and youngsters. If things aren’t looking so rosy in the league then Pardew could decide to go for broke and try to etch his name in to folklore as the first Newcastle manager to win a trophy for over 40 years. In recent times Middlesbrough and Fulham both reached the final whilst taking the UEFA Cup/Europa League seriously, so there is nothing to stop the Toon doing the same. Finishing 7th for £10.5m in prize money or finishing 10th for £8.3m plus a trophy and the £8m+ that would bring doesn’t seem much of a choice. Unless it is all irrelevant and Hatem’s title challenge is on! With the European Championships fast approaching, many football fans are looking forward to the forthcoming championships. Whilst some of these fans are keen followers of their country, others see it as something to fill the gap until the new season starts again in August. With the help of Union Berlin Man Mark Wilson, we will take a look at the arguments for both sides, with yours truly championing the cause of the club, whilst Mark urges you to get behind your country. Once every two years we will be told it is time to jump back on the England bandwagon by witty Carlsberg adverts, kit deals at various sports shops and the rallying calls of the England players selected to represent their country in whatever summer championship is taking place. “This is our year”, “this is a golden generation” and “we’ve been class in qualifying, we will be there or thereabouts” are all phrases bandied about by players and press alike in the build up. All well and good until England bow out before reaching the business end, usually down to a ‘poor refereeing decision’ or the’ lottery of penalties’. There are many issues with England, besides the fact that they constantly disappoint. Whilst watching a tepid encounter between Sven’s England and Sweden at Old Trafford in 2001, I was witness to numerous arguments between fans of different club teams. Manchester United fans arguing with Liverpool fans mainly, but at one point I found myself defending Kevin Philips who was toiling through one of his eight appearances for his country. I found it rather confusing when as a Newcastle fan I was defending Phillips against a raft of abuse from a Liverpool fan demanding the introduction of Emile Ivanhoe Heskey. Phillips was at the peak of his powers, banging in goals for Peter Reid’s Sunderland side, and deserved his chance for England. However, like so many before and after, he was guilty of trying too hard to impress, knowing he was likely to only get one or two chances before being cast aside. The expectations of the press and those who go to watch their country is ludicrous, and the desire to shoehorn players from big clubs in to the team at the expense of form players has infuriated for years. Paul Scholes on the left-wing? 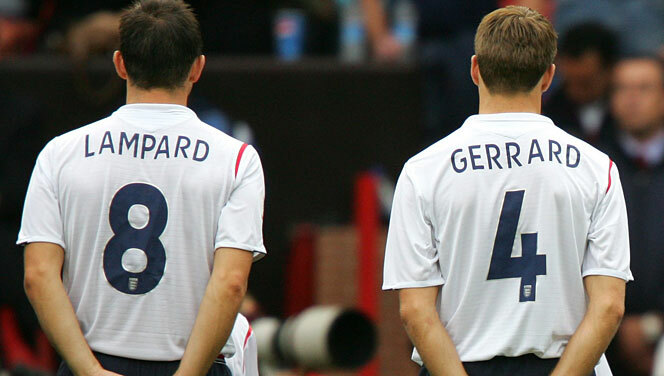 Michael Carrick overlooked at the expense of the Gerrard/Lampard love in? When it comes to club versus country, club can be the only winner. With your club comes belonging, the camaraderie, knowing the people who you sit or stand next to every week. With it comes the anticipation of the season ahead, the transfer rumours, the tactics, the derby matches etc. For those lucky enough to go and watch their team, every couple of weeks they get to immerse themselves in the match, beers before and after, a bet on the game and then a trip to the ground. England on the other hand is once again a closed shop for the southerners, contractually obliged to play at Wembley from now until eternity. For anyone living outside of the M25, trying to get back from a midweek England game at Wembley is nigh on impossible. An hour on Wembley Way after the game, chaos at Baker Street tube and the last train to anywhere leaving as you figure out the slight colour difference between the Bakerloo and Metropolitan lines. For a few years during the protracted redevelopment of Wembley the England team toured the country, playing up and down the land; Newcastle, Sunderland, Leeds, Derby, Southampton, Leicester, Ipswich, Liverpool, Manchester and Birmingham all hosted England games as part of the seven year England Roadshow as it was christened. This allowed the footballing public to connect with the England team, seeing them at close quarters for the first time. Spain and Italy do not have a home stadium, instead touring the country playing games at all for corners to keep the fans in touch. Since returning to Wembley in 2007, England haven’t played a game away from the stadium and are not likely to do so for the foreseeable future (although a money-spinner against Brazil in Qatar might tempt the FA). Once again England is the property of the south east. Perhaps the main argument is how good it would be if England won something? A country united in celebration? Yes, I will admit that if England win the Euro’s this summer then I would be riding the bandwagon, making sure I managed a few nights out in the process and celebrated with friends. Would I swap it for my club winning the league or the FA Cup? Yes, in a heartbeat. Years and years of watching and hoping, near misses and lost finals mean that as a club fan I only want it more. That would be a real celebration, intense and concentrated with real like minded souls, and one you can bring out when it comes to the inevitable ‘discussions’ with rival fans. This viewpoint may be different for fans of Manchester United who have seen their club consistently win trophies for many years. It is high unlikely that any Manchester City fan would want to swap their recent league title for England success, nor a Chelsea fan willing to swap the Champions League title for success in Ukraine and Poland. It is all about the club, the bread and butter of the football fan. England is a distraction, a distant entity far removed from the majority of football fans throughout the country. Best of luck to Stevie G and the boys, but the big dates are 18th June for the new season fixtures and 18th August for the big kick off. The Champions League Final on a balmy Saturday evening in Berlin was a for-taster of nights to come in the German capital. Bars were packed, gargantuan TV screens adorned the streets and business owners in convenience stores and kebab shops were huddled around flickering monitors. Everyone was watching the football. Every gender, race and age could be seen on the streets and bars of Berlin’s trendy Kreuzberg district. The buzz in the air of people coming together (almost as one) was infectious. Even non-football fans were peering at the screen drinking in the atmosphere. This is football at its best – the great unifier. I’m sure scenes were similar in London although the balmy weather was probably like a Bayern player with nerves – nowhere to be seen at the end of the night. I’m shocked players refused to take penalties. Perhaps the much vaunted home advantage was misleading. Saturday night saw two club sides from England and Germany battle it out for the most coveted (and financially rewarding) prize in the European game. Due to Champions League qualification and club rivalry not everyone in England was cheering on Chelsea. Strange to hear of Tottenham, Everton and Manchester United fans taking to social networks to demonstrate their support for the Bavarians. The difference with the European Championship and the World Cup is that it brings nations together. The rivalry on the terraces is forgotten. Arsenal fans would cheer a Lampard goal. Likewise, Manchester United fans would applaud a Joe Hart save. For the tournament you don’t associate Shearer with Newcastle – he’s English. If you’re a Sunderland fan you’ll revert back to questioning his parentage in songs after the event though. Football fans are fickle I often read. We have to be! There is only a relatively small pool of players and managers. A villain one week can be a hero the next and vice-versa. Subsequently, the football fan is able to put aside a season’s club football for a month long tournament. Such is the power of the game. Forget social networks bringing people together and connecting people – football has been doing this for decades. And it’s real. You experience it because of moments of unbridled joy, and at times, abject misery. Gazza’s tears (1990), No England at the World Cup as the Dutch defeat Taylor’s workmanlike side (1993), Gazza’s goal against the Scots (1996) and England’s capitulation against the Germans (2010). As an England fan the moments of despair far outweigh the glory but surely that is part of what makes us English. It creates our personality as a nation. We can laugh at ourselves. We’re also funny fuckers – we have to be. The old adage if you don’t laugh you’ll cry is certainly relevant in this scenario. On the subject of having a shot at winning a trophy you’ll find the facts point towards ‘Country’ offering you superior odds than ‘Club’. The Euros have had 9 winners in 13 tournaments. Whilst England fans may grumble at their distinct lack of guile in this tournament, a cursory glance at past winners and finalists shows, it’s not all about ranking but about team spirit and togetherness – remember Greece? They may be derided for a lack of fiscal prudence but there was nothing wrong with their defensive tactics when they won the Championship in 2004. What a shame the England team enters the Poland/Ukraine tournament with a divided dressing room and a nation already questioning the appointment of its manager. Hodgson out was trending on Twitter after the announcement of the 23 man squad. You could try and argue this is a good thing. England fans care. They want success. Perhaps they are just getting their excuses in early. 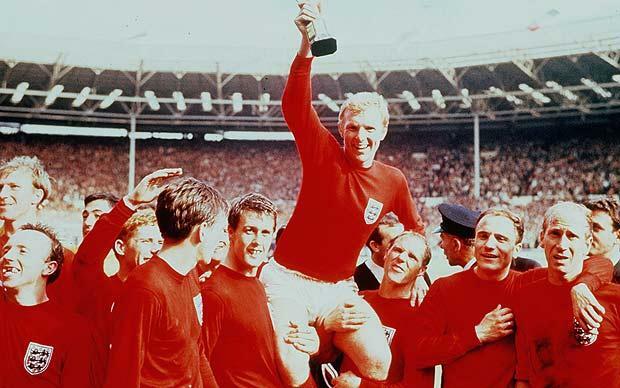 If we consider The World Cup; it has produced 8 winners in 18 tournaments. For those following national sides ranked highly this is better odds than for a club side in England winning a major honour. A Johnstone’s Paint Survey from 2006 that showed that 92% of fans said that their best footballing moments came from their club. However, I bet those asked were not around in 1966. I would cite the national team’s abject failure in most fans lifetime as being the main driver behind such a clear rejection of the national team. England fans are like waiters at a banquet; we see the feast on offer but never get to gorge on the tasty morsels. We’re there to make sure everyone else has a good time. We all love our clubs but not many have experienced the feeling of victory with our nation. Of course the two are not mutually exclusive. Wait for the feeling when England finally win something and compare that to the modicum of success you have most likely tasted with your club. Also, we’ll all be in it together. In times of austerity and social unrest footballs power is magnified. It does what talent shows and politics cannot do. We’re England United. The lunacy of the FIFA rankings system (that currently sees England ranked higher than Brazil and Argentina) should be enough to demonstrate the point that there is more to listing teams than current results and a complicated matrix. However, being fond of a treat, rather than try to improve the FIFA system for international teams, lets take a look at English club sides. Whilst it is obvious that Manchester United are a bigger club than Rochdale (no offence Dale fans), are third tier Sheffield United and Sheffield Wednesday bigger than Premier League Wigan Athletic? Does Preston North End’s history make them a bigger club than Norwich City? The notion of being a so called ‘big club’ is relatively new, linked the excessive hype that is given to the modern game. It is however also a come back for supporters of clubs that may have a glorious past who may be struggling in the modern game. What is needed to settle this argument is a spreadsheet and some maths. Listing all 92 league clubs was the easy part, deciding what factors to consider and how to weight them was slightly more difficult. Is a league title win in the 1800s as relevant as making a Champions League final in the modern game? Does an average attendance from the all-seater era have any more relevance than the figure from the 1980s? After finding a source of information in the guise of the wonderful the European Football Statistics website, the following formula was devised. An average attendance from seven seasons, starting with the most recent (2011), going back in five year steps (2006, 2001, 1996) and then ten year steps (1986, 1976 and 1966). Points are awarded per thousand, so an average attendance of 23,000 equates to 23 points. Figures are rounded up or down to the nearest thousand. Taking in to account recent history with regards to what division a club has played in goes some way to balance the argument that some clubs with an illustrious past will have an inflated score. After feeding all of those figures in to the Footy Ramblings super computer, also know as Microsoft Excel, the final results are as follows. As expected, Manchester United and Liverpool are way out in front due to their league title wins and European Cup successes. Perhaps more surprising is Everton sitting in 4th place. Despite their current financial hardship, the Goodison outfit remains one of the most decorated clubs in English football history. The top 20 has five Football League clubs (Nottingham Forest, West Ham, Sheffield Wednesday, Ipswich Town and Derby County). Swansea City are the lowest placed Premier League club, sitting in 50th position. *Some data manipulation was required for the attendance figures of some clubs who are newly formed, reformed, merged or who played at lower levels and don’t have available attendance information. Much to the disappointment of Jim White and his hyperbole machine, the amount of money spent on transfers by clubs in the January transfer window was drastically down on the previous year. Even though the January 2011 figures were swollen by the deals involving Fernando Torres and Andy Carroll, the 2012 window was still quieter than that of 2011. The obvious explanation for this is that clubs simply do not have the money to spend, apart from those supported by oil money from Russia and the Middle East. In the midst of continuing uncertainty around the global economy and UEFA’s much vaunted Financial Fair Play (FFP) restrictions, clubs are being more conservative when it comes to player recruitment. As a result of these tighter margins, Premier League clubs are moving in to the loan market to bolster their squads. At the end of the January transfer window 13 of the 20 top flight clubs had at least one loan player on their books, with 24 players registered on loan to Premier League clubs. In the 1998/99 season only nine players played on loan throughout the whole Premier League season, a figure that was replicated in the 2000/01 season. In recent times the loan system has mainly been used to allow younger players to go and get the experience of first team football that youth and reserve football does not provide. Out of the England squad who recently defeated World and European Champions Spain, Joe Hart (Tranmere, Blackpool), Scott Carson (Sheffield Wednesday), David Stockdale (Ipswich), Ashley Cole (Crystal Palace), John Terry (Nottingham Forest), Kyle Walker (Queens Park Rangers), Frank Lampard (Swansea), Stuart Downing (Sunderland), James Milner (Swindon) and Adam Johnson (Watford) have all been loaned from Premier League clubs to Football League teams. In addition to those, Rio Ferdinand and Jermaine Defoe both had loan spells at Bournemouth whilst learning their trade at West Ham and David Beckham was sent to Preston by Alex Ferguson in 1995, scoring twice in five games, one of which was a goal directly from a corner. The progression of these players in to the full England squad was no doubt aided by time spent on loan at Football League clubs. As well as introducing younger players to first team football, it will also help toughen them up, with the level of commitment and intensity a notch higher than they will have experienced in youth and reserve team football. A more recent trend is the loaning of players no longer wanted at a club, rather than to gain first team experience. The introduction of the 25 man squad in the 2010/11 season meant that some clubs had players on their books that they were unable to place in their match day squad, and subsequently unable to field in Premier League fixtures. After yet another spending spree at Eastlands, Manchester City were unable to place Craig Bellamy and Roque Santa Cruz in their squad, and loaned them out to Cardiff City and Blackburn Rovers respectively. Parallels can be drawn with the spending sprees of Chelsea in the early Abramovich era which saw the likes of Alexi Smertin and Jiri Jarosik loaned out due to the size of the squad and competition for places. This was and is clearly not for the benefit of the player, and is just a stop-gap until either the player either finds form and falls back in favour, or more likely comes to the end of their contact or is sold on. Of the 24 players on loan within the Premier League, 12 are on loan from fellow Premier League clubs. 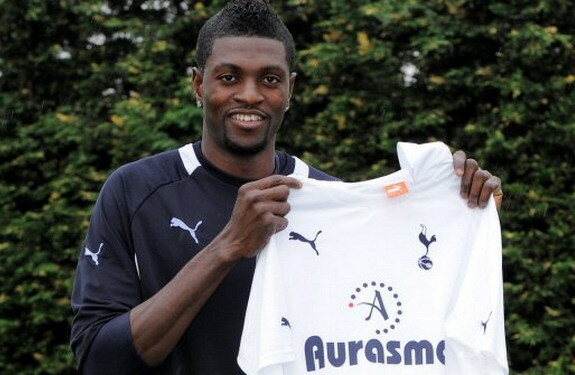 The most controversial of these loans has to be that of Togolese forward Emmanuel Adebayor. Following the signing of Sergio Aguero, who lined up alongside £100m+ worth of Carlos Tevez, Edin Dzeko and Mario Balotelli, Adebayor was deemed surplus to requirements, but was understandably reluctant to leave his alleged £170,000 per week wage packet. It was rumoured that Real Madrid were eager to sign the Togolese following his loan spell at the Bernabeu, but they would not consider paying anything like the wages he was on at Manchester City. With the transfer window drawing to a close, Harry Redknapp sensed a deal could be struck and Adebayor joined Spurs on loan for the season. It is widely acknowledged that Manchester City are still paying a large proportion of his wages, but not the £170,000 they would have been liable for if he hadn’t moved. Spurs get a £25m striker for nothing and Man City gets an unhappy and unplayable player of their books. Win win? Well for Spurs yes, for obvious reasons, but also for Man City. As well as having a potential disruptive influence away from the club, they have furnished one of their perceived lesser rivals with a top class striker who can potentially score goals against their expected title race challengers (Manchester United, Arsenal and Chelsea) but cannot score against City themselves due to the Premier League rules on loan players preventing him from facing his parent club (a fate suffered by Newcastle United when Lomana Lua Lua scored against his parent club whilst on loan at Portsmouth). Adebayor included, 18 of the 24 players on loan at Premier League clubs are full internationals, not exactly untried youngsters in need of some first team action. Dedryck Boyata and Rio Miyaichi are at one end of the scale; youngsters who are registered with top six sides but don’t feature due to more established players ahead of them in the pecking order. At the other end of the scale are the MLS players signed on short-term deals. Messrs Henry, Keane and Donovan are established internationals, but their signings are purely for the benefit of the clubs that have borrowed them, and potentially at the detriment of any youngsters at those clubs. Clubs can’t be blamed for looking to the loan market when they are quoted prices for unproven players from the Football League. When taking a punt on a non-league player could cost over £1m, taking Thierry Henry on loan for a few games is a no brainer. What isn’t sustainable is clubs overspending and being able to get rid of players to other Premier League clubs on loan rather than selling them on. Arsene Wenger believes the current system is flawed and that loans should between Premier League clubs should be restricted. “What I would like to see is that you are not allowed to loan players over the age of 21.” Under Wenger’s proposal the like of Jack Wilshere, Daniel Sturridge and Danny Welbeck would still have been able to go and gain the experience that has helped them all to develop in to full England internationals, but the likes of Adebayor and Wayne Bridge would not be loaned out to fellow Premier League clubs. Just don’t tell Yossi Benayoun what his current gaffer thinks! The future of the loan market will be an interesting one with clubs having to balance the 25 man squad rule with the FPP restrictions with the need to remain competitive often in more than one competition. With the growing discontent over some of the loan moves, the suggested age restriction may well be the best solution to allow young talent to continue to blossom without big clubs doping the league with big money failures cast off to other clubs. EDIT: The nine loan players in 2000/01 season were Eoin Jess, Shaun Bartlett, Pierre Issa, Thordur Gudjohnsen, Marc Burchill, Andrei Kanchelskis, Daniel Cordone, Patrice Carteron and Kaba Diawara. Illustrious. Constantly rising ticket prices, millionaire players isolated from their fan base and alleged racist incidents are just some of the reasons football fans are feeling apathetic toward the professional game at present. At times like this non-league clubs need to maximise their efforts to draw in fans, and also to keep them coming back for more. Whilst some local clubs offer initiatives to coax fans along to games, such as moving games to a Friday night or offering discounted entry for season ticket holders of the bigger clubs, getting the people to come along regularly is proving more of a challenge. For some it just isn’t their cup of tea, whether it is the weather, the different facilities or the perceived lower standard of play. However, a growing complaint, especially amongst those who have taken children to non-league football, is the bad language used by the players and management is not suitable for younger ears. Bad language and football are entwined, and eradicating it is always going to be a difficult proposition. Swearing is part of the vocabulary of nearly everyone in society, and it flows more freely when an individual is invoked in the passion of either playing or watching football. From a game of five-a-side or Sunday morning pub football right up to international level, swearing takes place on a football field. The problem non-league football faces is that often due to sparser crowds and spectators being in a closer proximity to the pitch, swearing from players is more audible than it would be at Wembley Stadium. This isn’t to say that modern stadiums are free from bad language, because this isn’t the case at all. Anyone who has been to a professional match will hear bad language from the people around them. For whatever reason, that is perceived to be more acceptable, or perhaps expected, that bad language will emanate from the terraces (or seats). Non-league football, at least at the level I have been watching recently, operates vice versa, with the fans rarely using bad language, yet players and club officials being very colourful with their language. Most emotions expressed verbally are accompanied with the F word, and I’ve heard a manager instruct his full-back with the inspirational “don’t let that c**t on the wing take the f**king piss, just kick the sh*thouse up a height.” This tirade was picked up on by the referee who to his credit wasn’t afraid to challenge the manager and advised him to tone down his language. On the football field, when emotion comes to the fore, the language used is explicit. When attempting to convey an instruction, the use of the F word may well give it more voracity and that is the argument used by those that swear. For many, it is a subconscious act, ingrained in their daily lives and no different to work and home vocabulary. The majority of fans accept that swearing is part of the game, and are aware that bad language will be heard when they go to a game. However, the problem for a parent wanting to take their children to a non-league game is that they know their son or daughter will hear swear words fairly regularly throughout a game. Whilst it is part and parcel of football, a number of people have commented both in match programs and internet forums that they have decided not to return to non-league football with children as a result of the bad language. Clubs have picked up on this and regularly feature notices in their publications and clubhouses stating their desire to stamp out bad language and abuse of officials. 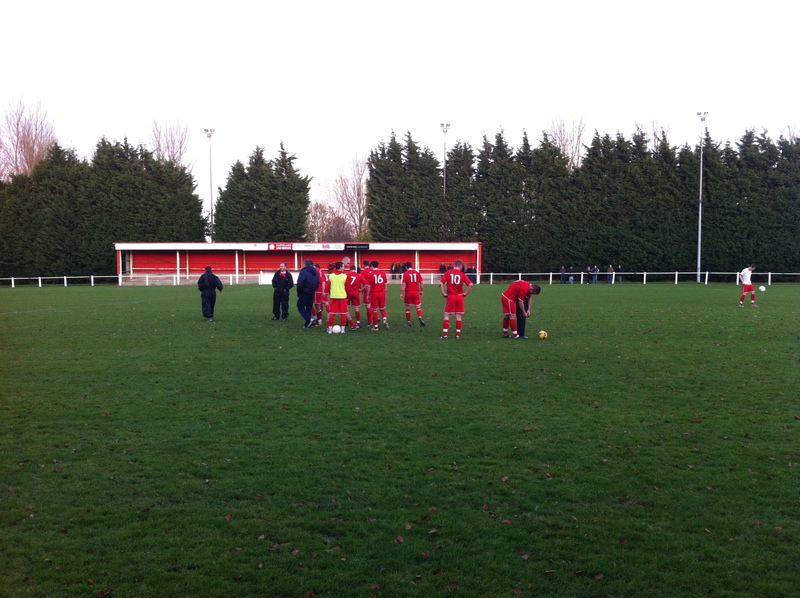 Whilst at Guisborough Town v Newton Aycliffe in November 2011 bad language on the pitch was twice challenged by a tannoy announcement stating that “Guisborough Town are committed to reducing swearing by players, officials and spectators, please respect yourself and others”, and on both occasions this was greeted by a round of applause from the 197 spectators. Would a zero tolerance approach work in dealing with bad language? The FA Referees’ Committee thought so, as did a number of Northern League clubs when it was suggested. However, in practice, it may be difficult to enforce. Would the referee have discretion? Would it have to be a specific swear word for a red card? Would it have to be audible to everyone or would any swear word result in a red card? As with many other things in refereeing, the inconsistency would likely be a huge source of contention. On the other foot, a few red cards and the accompanying fines would soon spread the message, and players and officials may try to curb any bad language. At a time when growing numbers of people are becoming fed up of the bubble that top flight football exists in, non-league clubs need to address anything that might put off prospective new fans. At the time of year when many publications and websites are offering lists and awards to mark the end of the calendar year, I decided that rather than scoff and ignore, I would publish my very own progress report from the Northern League Tour that I embarked on back in the August sunshine at Chester-le-Street. A little over halfway through the grounds and already I have covered over 1,000 miles (1,144 to be precise) although nearly a fifth of the miles came in the return trip to Whitehaven in October. In the 27 games I have seen 102 goals which makes it an impressive 3.7 goals per game. Without jinxing myself I am set to see a 0-0, and the four draws that I have seen have been 3-3, 3-3, 1-1 and 5-5. I have seen one more home win than away win (12-11) and crowds ranging from 31 to 428. Regular readers and those who follow me on social media site Twitter will know that I am in the middle of a mission, for want of a better word, to visit all 44 STL Northern League clubs in the 2011/12 season. This started as a personal challenge but early on I decided that it might be fun to chronicle my travels. As a result I have decided to move backwards from this new fangled blogging lark in to the old-fashioned print world, and will be publishing a book chronicling my journey around the North East and Cumbria. The book will detail the trips around the two Northern League divisions and the stories of the games and the clubs that make up this fascinating competition. The as yet untitled book will soon have its own website, so watch this space. As the league continued to evolve, a clear distinction began to emerge as the clubs often changed name, identity and even location. In 1954 after Berliner FC Dynamo was formed following a merger of two other Berlin teams, the Stasi decided it would be easier to recruit players from an exisiting team rather than use the existing players. The first team squad of Dynamo Dresden, another Stasi team, was relocated to the capital and overnight became Berliner FC Dynamo. Dresden was left to pick up the pieces and was forced to field their second string whilst they rebuilt the club. 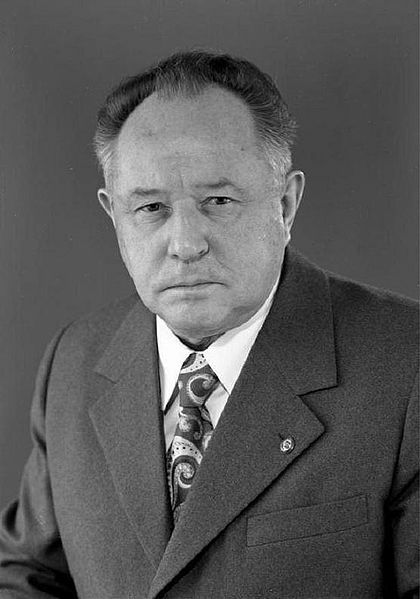 However, this move didn’t pay the expected dividends for Berliner, and it was army side ASK Vorwärts Berlin who became the first side from the capital to win the DDR Oberliga in 1958. The Vorwärts sides were under the control of the Ministry of Defence, and as the DDR grew in military strength in the late fifties and early sixties, they emerged as the powerbase, with ASK Vorwärts Berlin winning five DDR Oberliga titles between 1958 and 1969.